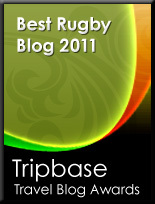 TOTAL FLANKER...a rugby blog: Are England missing a trick? England's Six Nations squad, announced today, hardly sets the pulse racing. There will be the usual debates surrounding the perennial exclusion of Danny Cipriani, of course, and I guess it is mildly surprising that Dylan Hartley and Danny Care are not featured, but there is not a lot to get really excited about. Yes there are four non-capped players included - Ben Earl, Ollie Thorley, Dan Robson and Jack Singleton - but I'm not sure any of those is likely to make the starting XV in the Six Nations and of the four I'd only really expect Robson to be in the running come the World Cup. For me, if an inexperienced player is to be included, at least make it someone who can make an instant impact, leave a big imprint on the Six Nations and be a genuine contender for the World Cup squad - someone like Alex Dombrandt, who has simply been sensational in recent weeks, pulling up trees in the Quins back row. With the inclusion of players like Te'o, Tuilagi. 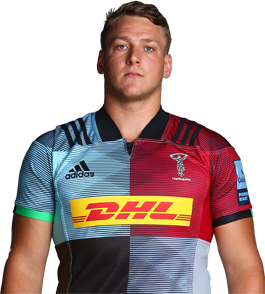 Cokanasiga and Devoto, Eddie Jones appears to be looking to add power to his line-up, and they don't come much more powerful than Dombrandt. With Chris Robshaw not making the squad through injury, with Brad Shields yet to convince and with the likes of Ben Earl and Jack Clifford still very much unproven, I'd say Dombrandt is certainly worth a punt, even at this late stage.